Add a breath of life to any room while maximizing your space with sleek and stylish wall planters. Plants are great for perking up indoor spaces. If you’re in a small living space, though, finding a spot for your houseplants can be a challenge. To maximize space and make the most of your existing natural light sources, go vertical! Without a doubt the most striking vertical greenery trend is the green wall. Living wall, green wall, vertical garden — whatever you call it, this living painting is a statement maker in any size space. It’s not just for the office or airport! To avoid any potential water issues, you may want to recruit a professional to install your vertical garden. A landscape architect can help you construct a living wall indoors or outdoors. There are also companies that sell well-designed hardware that you can plant and install yourself. This is basically the DIY version of a green wall. You can buy one ready-made or make your own. If making your own, you need to allow several weeks for the plants to take root before hanging it vertically. 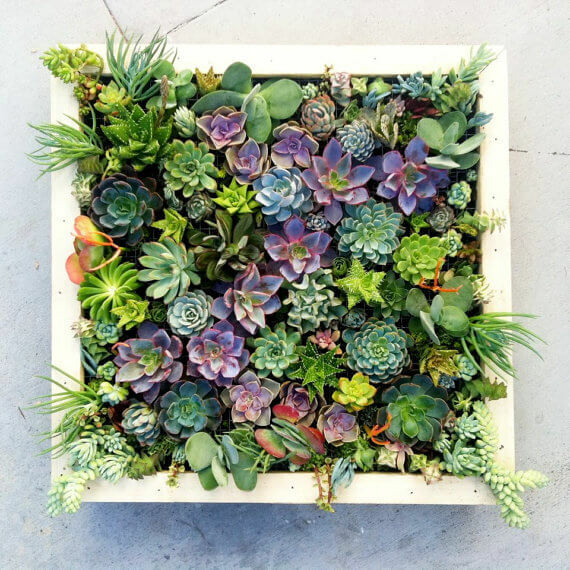 To create a picture frame garden, you need a shadow box-style frame, potting soil, planting fabric, wire, and a collection of succulent clippings. We also love this customizable vertical garden system by Urbio. 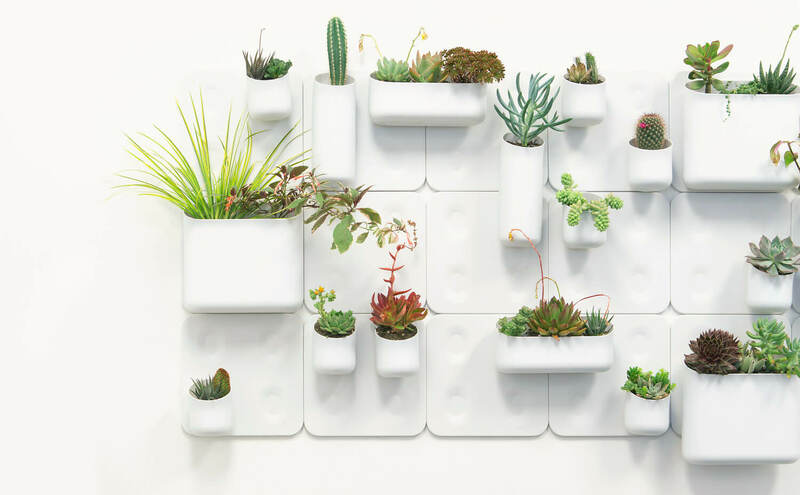 Combine multiple wall plates and magnetic vessels to create your own vertical oasis. The modular system is clean, sleek, and specifically designed for small-space living. 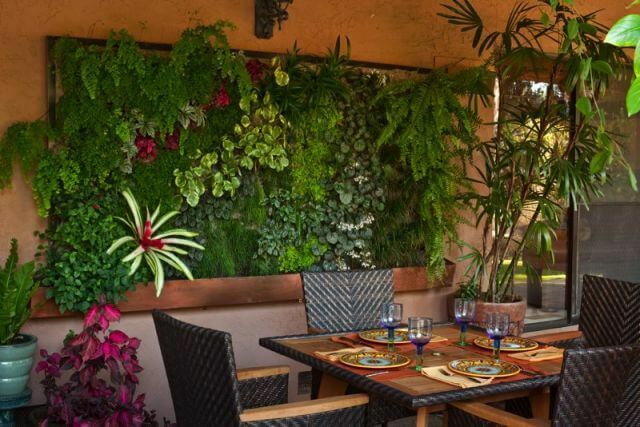 If you’re not quite ready to transform a whole wall, there are plenty of other low-maintenance ideas for vertical gardening that make the most of your space. 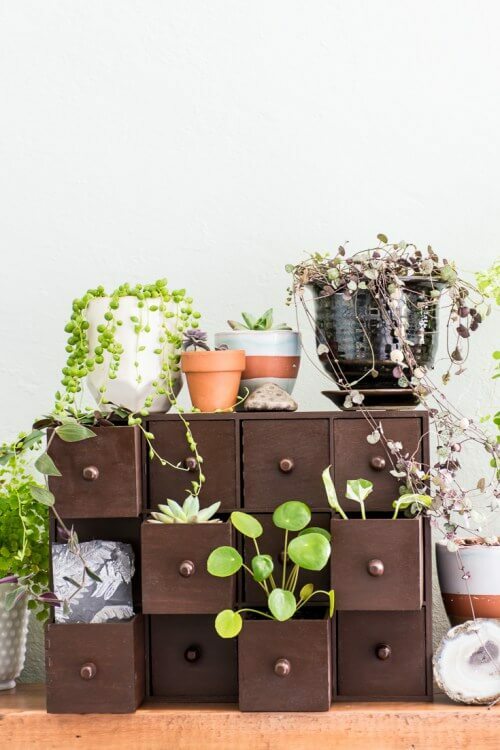 You could use an old spice box or small library card catalog as a planter or use a vintage dresser drawer. 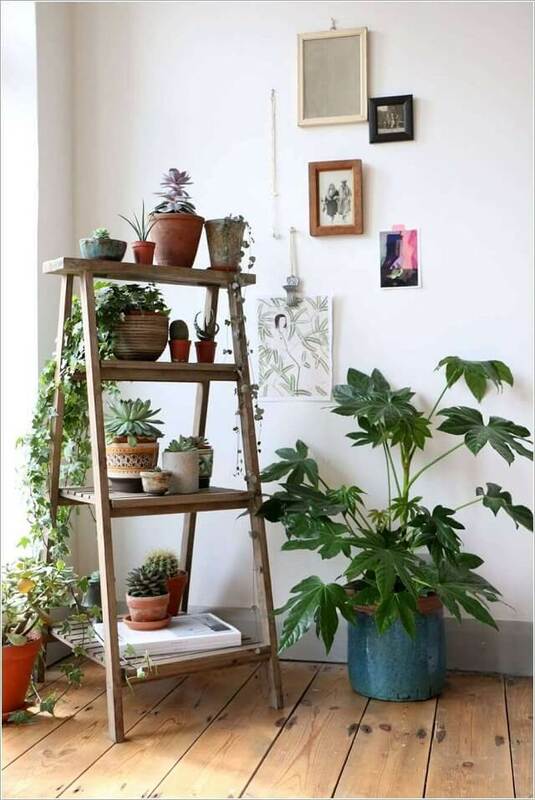 You can create a multi-story plant stand with an old ladder. Spray paint it or sand and stain it to get rid of that “just came out of the garage” look and then add your favorite potted plants. You can use terra cotta pots, coffee cans, mugs, or even coconut shells to create a vertical tiered hanging wall planter. Braided macramé is a good option for something sturdy enough to hold multiple plants. Attach a large circular ring to the top of the braid, hang from a hook on the wall or ceiling, and stagger plants down the length of the rope or twine to create an interesting look. If you’re trying your hand at growing vegetables and herbs, check out Edible Vertical Gardening.